Whether your hair is straight, curly or somewhere in between, we all want healthy-looking and voluminous hair. Keep reading for our tips and tricks to achieve amazing hair volume. The sky’s the limit! Dry shampoo is also great for adding texture and volume to fine, straight hair (even when it’s freshly shampooed). Just spray a small amount at the roots, blast with a hair dryer. Then comb through for extra thickness and volume. If you’re using a hair serum to add shine to your hair and control flyaways, you’re on the right track. However, many hair serums are too thick and heavy. So they can weigh down fine, thin hair. Lay the foundation for thicker-looking hair with a lightweight, body-boosting serum. Viviscal Gorgeous Growth Densifying Elixir is a leave-in treatment that boosts hair volume with a light infusion of botanicals (like pea sprout extract and lavandula hybrida oil). Plus, Viviscal Elixir has keratin, biotin and zinc. This nourishing, lightweight styling serum can be added to wet or dry hair to give fine hair the look of more thickness and volume. Foaming products have a bad reputation for leaving hair hardened and “crunchy”, rather than bouncy and full of movement. But this is absolutely not the case for most higher-quality foam products. Foaming styling products, especially mousse, can work in your favor if you’ve got natural curls. Whether you diffuse or air-dry your curls, an anti-frizz mousse can help form consistent curls and keep frizziness at bay. Simply work the mousse through your curls with your fingers, scrunching lightly as you go. Before you blow-dry your hair, apply a small amount of mousse to the roots only. Use a flat paddle brush and hold head slightly to the side while blow-drying. Then brush hair in the opposite direction of hair growth, towards the roots of your hair. Brush hair several times, then flip your head and brush hair on the other side. Finally, bend your head forward. Follow the same process on the underside of your head, brushing hair forward. If you have fine or thin hair that’s straight, you may assume that naturally curly girls have it easy. But curlies can have limp or lifeless curls too. Condition and detangle hair in the shower and rinse. Then add a liberal amount of leave-in conditioner to very wet hair until it is thoroughly moisturized. This will help seal the hair strands from attracting excess moisture after they dry, minimizing frizz. Apply a curl-activating product to your wet, conditioned hair. This will help define curls without making them frizzy. Insider tip: choose a curl activator with magnesium sulfate in it, which has the same effects as sea salt. Sea salt and saltwater make curly hair even curlier. 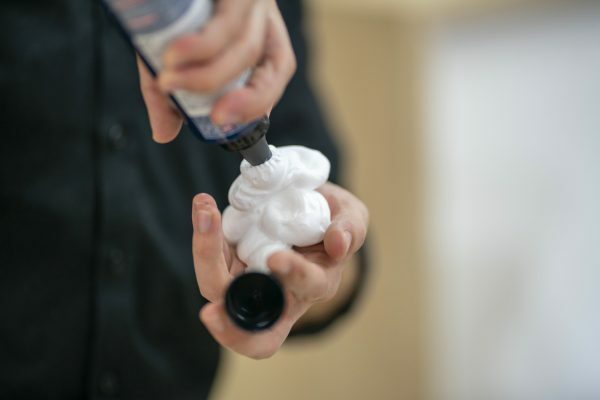 For a DIY curl activator, mix light hair oil, water and Epsom salt in a spray bottle and spritz on wet, conditioned hair. Flip your head upside down and scrunch curls with a lightweight gel that won’t weigh down hair. Use just enough gel to thoroughly coat curls and define them, but not so much that hair feels stiff or crunchy. Curlies know that an ordinary towel is no friend to curls. Remove excess water from curls by scrunching with a cotton T-shirt, a pillowcase or a quick-dry microfiber cloth. The more you scrunch, the more curls you’ll create. Tame any unruly curls by gently reforming curls with your fingers. If you tend to have flatter hair at the roots, clip hair with duckbill or salon clips to lift the roots. Then, squeeze the remaining water from curls using an accordion motion with a cotton t-shirt. Blow-dry hair until it is about 80% dry to minimize frizz. Always use a diffuser and hold it against your head, not far away from your hair. Until hair is completely air-dried, do not comb or touch your curls. 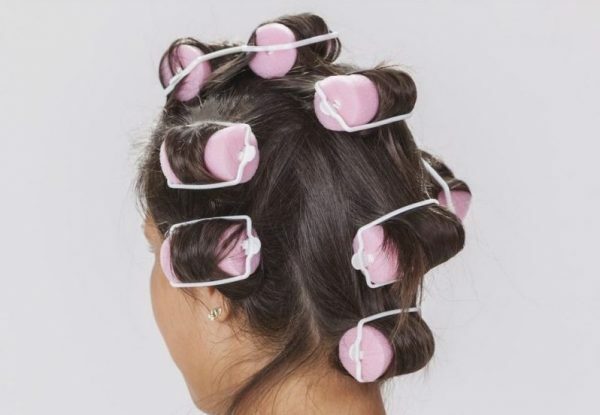 Once hair is dry, you can bend your head over and use your hands to fluff up your curls from the roots, separating and pulling apart your curls. When choosing a styling product to finish your style, avoid products such as pomades, heavy styling gels or waxes. Styling products like these can weigh down hair and make thin hair look greasy. Foam rollers may seem old-fashioned but they’re actually great for creating volume without damaging hair with heat. 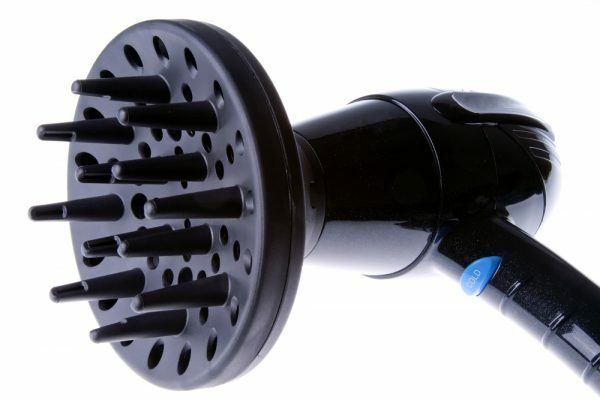 Larger rollers create voluminous waves, while smaller rollers will result in tight ringlets. Choose the size roller you want for your look, then wrap dry hair before bed. Remove them in the morning and gently finger-comb for more defined curls. Or brush out hair for a more relaxed look. Finish your hairstyle by spraying a small amount of a volumizing hairspray directly at the roots of dry hair. Used sparingly, this trick will add subtle lift and volume to hair. Just don’t overdo it, since too much product at the roots can make hair fall flat. Long hair weighs more. And this added weight tends to pull hair at the roots, leaving hair limp and flat. Visit your hairdresser and ask for a new haircut. Long bobs are very stylish right now, and are a great option for giving fine hair a volume boost. Or try a haircut for thin, fine hair with face-framing layers that are not too close to the scalp or to the ends. Layering hair will give it more bounce and movement, making thin hair look fuller and more volumized. One of the best ways to volumize hair is through a blowout. While you can certainly visit your salon for a professional wash and dry, it’s actually quite easy to DIY a blowout at home. 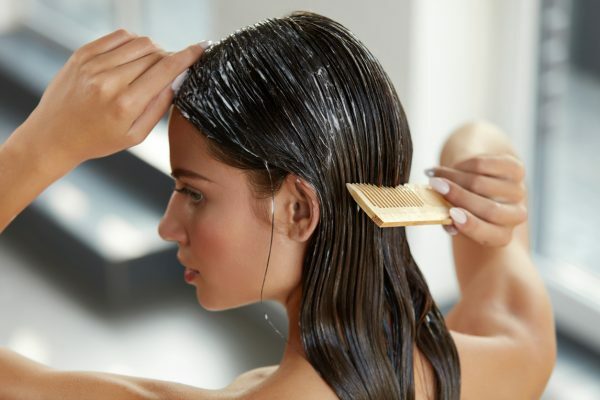 Comb a volumizing mousse through damp hair. 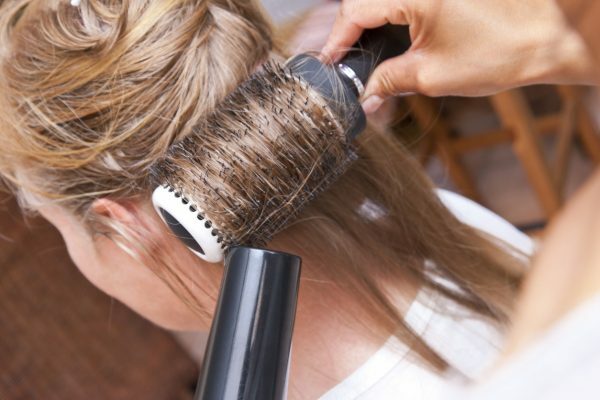 Flip your head over and aim the blow-dryer at your roots until your hair is almost completely dry. Spray roots with a volumizing hair spray or root booster. Separate top sections of hair and clip them away from your face and then use a large, round brush to blow-dry the bottom half of your hair in sections that are no wider than your brush. After drying each section, spray it lightly with a volumizing hairspray but leave it coiled and clipped to the head as if the section was up in rollers. Repeat these 3 easy steps until you’ve dried all of your hair. Once your hair cools, unclip each section and very gently “comb” through with your fingers. If hair still needs an oomph of va-va-voom volume, spray the roots again with hairspray and then smoothe the top. 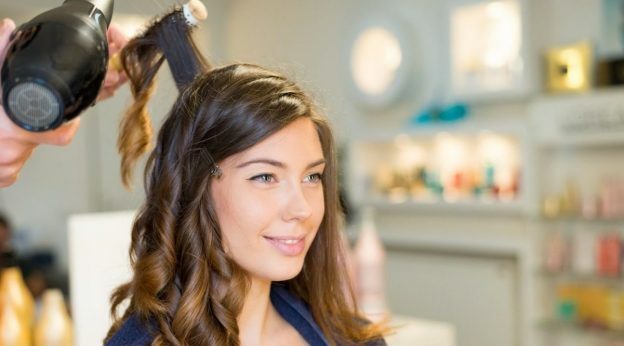 This is how to add big volume to hair while maintaining perfect curls. It may seem counterintuitive, but if you’re looking for fuller, thicker hair, do not skip your regular trims every 6-8 weeks. Cutting off split and damaged ends will make your hair look healthier, bouncier and fuller. If you always part your hair in the same place, moving your part is an easy way to get a little extra volume boost. Plus, playing with the location of your part is actually better for your hair than rocking the same side part every day. Wearing your hair the same way every day pust tension on the same areas of the scalp and hair, which can cause breakage. So help keep your hair looking healthy and breakage-free by regularly changing up your look. Then you’ll have the added bonus of a little extra volume! Not all conditioners are created equally, and the conditioners that work on our thick-haired friends may not work on those of us with fine hair. Eating a diet rich in vitamins and nutrients is key to proper hair growth. 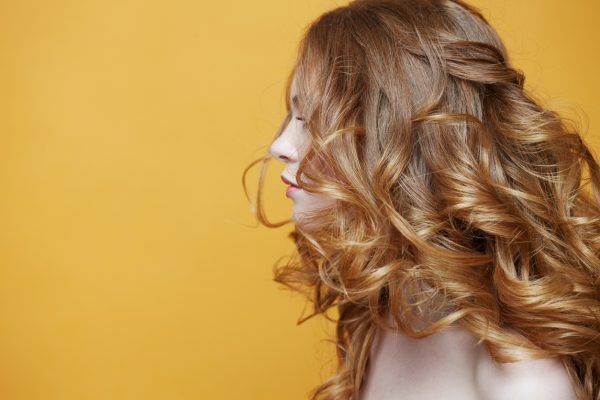 After all, you can follow any styling tips for how to add big volume to hair, but if your follicles aren’t healthy or nourished, your hair ultimately still will fall flat. Try incorporating more protein and nutrient-dense foods into your everyday meals. Think lean proteins, healthy fats, and plenty of fruits and vegetables. Do you have any tips for boosting hair volume? Let us know in the comments! **Self-assessment of 110 people using Viviscal Shampoo, Conditioner and Elixir regimen; JRC 2015.